Reebok, a leading brand in athletic apparel and equipment, embraces Video Commerce with TVPage. As a powerful brand in its space, Reebok is always seeking to better connect with its consumers by telling real stories that are not only interesting, but truly inspiring. The Reebok marketing team quickly realized that inspiring stories could only be truly inspiring if told through video with the right music, motion and narrative to properly communicate the feel and power of the message. 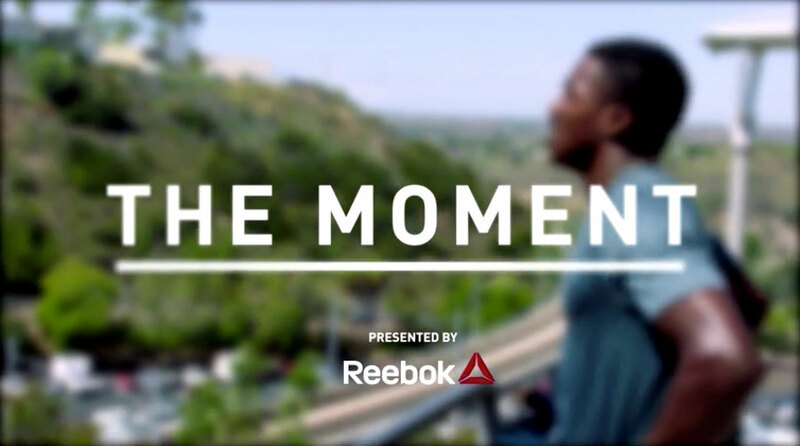 Reebok created a video series called “The Moment”, emphasizing the precise moment when athletes feel a personal sense of accomplishment. This theme speaks to the spirit that makes us who we are, and most importantly, who we can become. There was no question that the video content would have to live on Reebok.com, and so the marketing and website teams came together to figure out the best way to present this experience. When Reebok first met with TVPage, one of the requirements was to be able to measure the success of the campaign, both in terms of engagement and conversion. Reebok deployed a custom TVPage Video Commerce Widget that would enable viewers to watch the inspiring videos, and purchase related products directly from the experience. Reebok were able to quickly customize the widget on the platform to fit their precise design requirements. The team simply dropped a simple script onto the desired page, with the entire experience 100% served by TVPage. It was that simple. Reebok successfully launched the experience on a page dedicated to “The Moment” campaign, following which Reebok extended the same experience with added video content to its Men and Women category pages given the great results generated from the experience.